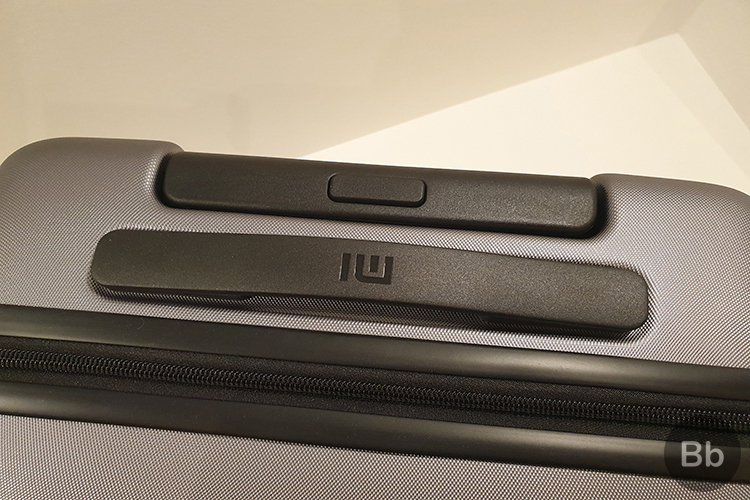 While Xiaomi’s Bengaluru event was focused on smart devices, the Chinese giant launched one non-tech product dubbed as Mi Luggage in India as well. 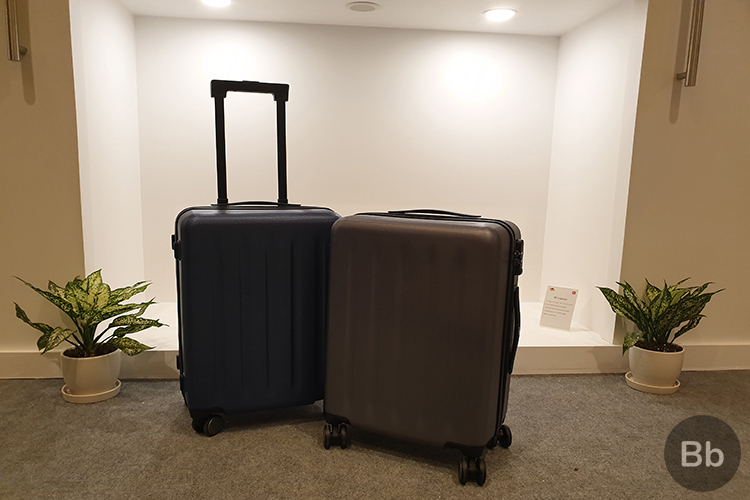 These suitcases, which are available in two different sizes, 20-inch and 24-inch, adds to the Chinese giant’s fledgling lineup of lifestyle products. Xiaomi is good at building smartphones (even if some look similar) and other hardware but it’s not fooling around when it comes with other products either. You will find great build quality and just a ‘Mi’ branding. It’s very minimal and follows a tried-and-tested design. 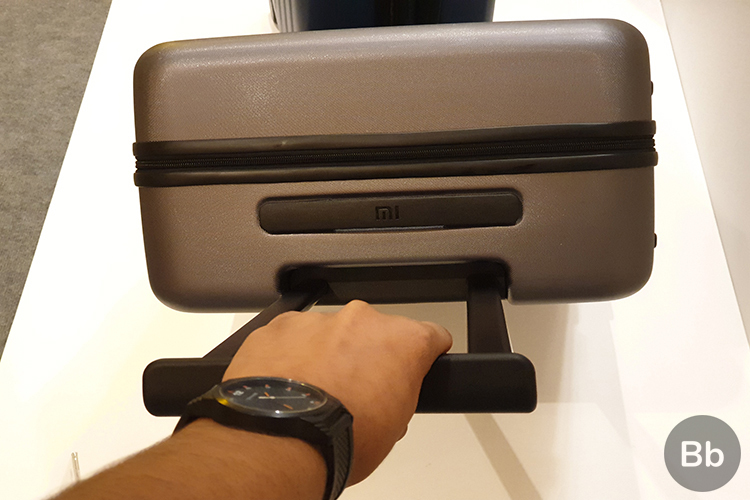 The Mi Luggage suitcases, available in 20-inch and 24-inch variants, are not just light, portable and ergonomic, but also have very sturdy build quality. 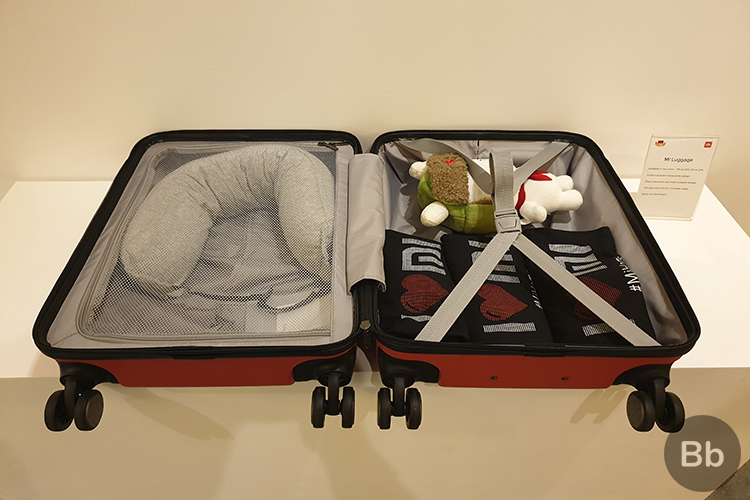 The company is using Makrolon material from German company Bayer, which Xiaomi claims makes the suitcases lot stronger but I found it to be very similar to American Tourister bags that are quite popular. I was assured of the build quality by the demo, where one of the executives while playing around with the suitcase, sat down on it. Yes, it did flex but it didn’t permanently deform the exterior and nothing broke inside either. 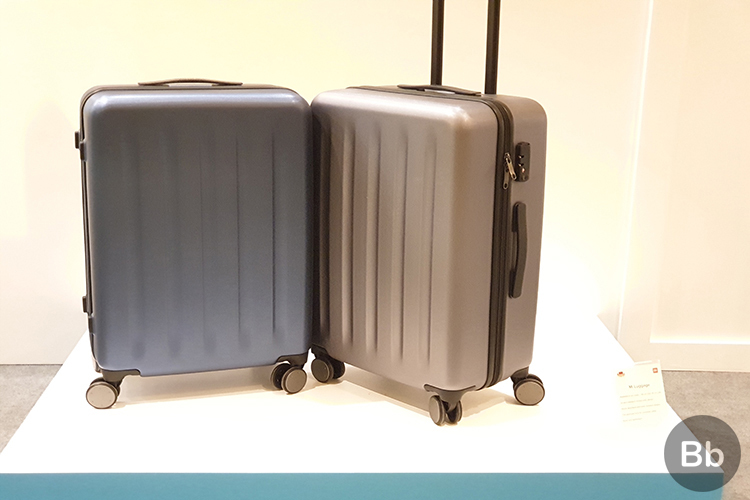 Xiaomi has also gone for a honeycomb pattern (which has pretty good in-hand feel and a shine under light) and vertical stripes (more like indents) on the outside for additional support to the mechanical structure of the suitcases. You’ll just have to take our word for it, given that it’s hard to show volume in these pictures. Both compartments have more than enough room for all your stuff. The compartments feature soft-touch polyester lining with a zipper, but you also get a belt and zipper mesh to secure your valuables. Xiaomi claims the 20-inch Mi Luggage can hold up to 36 liters, while the 24-inch model takes in up to 64 liters in volume. You could carry the former for a shorter weekend trip, while the larger model can be used for trips closer to a week. 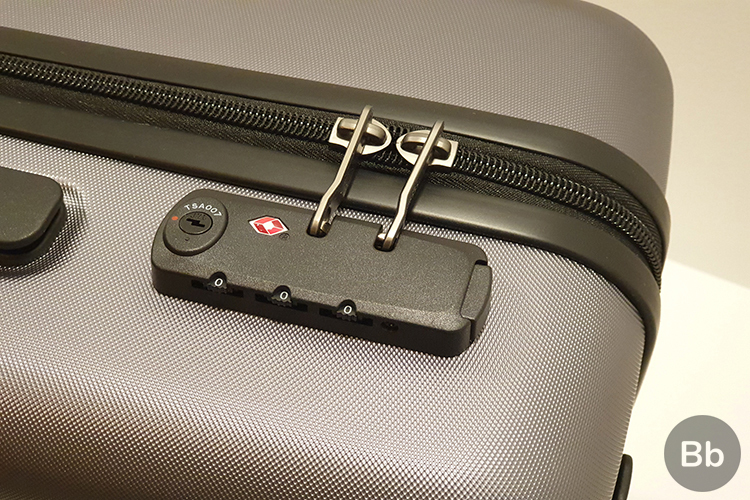 The company also laid a ton of stress on the three-digit combination lock on Mi Luggage because it’s TSA-approved. It keeps your stuff secure and TSA authorities in the US can easily open your bag without damaging the lock, to check its contents. 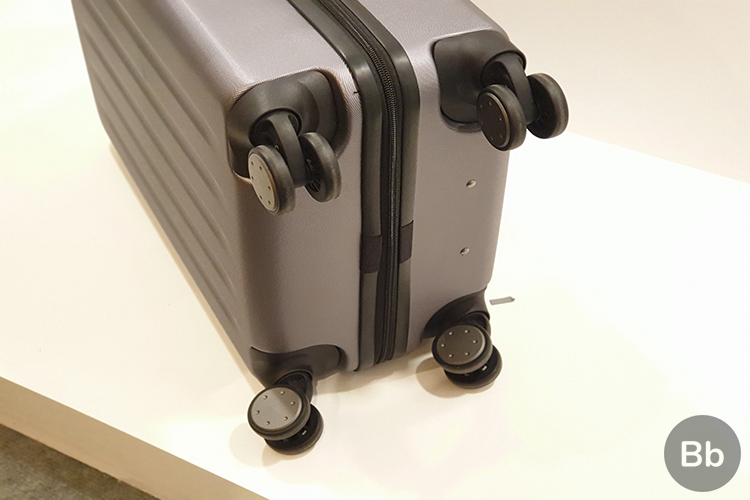 Xiaomi has also included four noiseless wheels, made of highly elastic TPE material and they won’t make too much noise when you drag these suitcases around. While this sounds great, the highlight of these wheels is that you don’t need to put any effort into moving the suitcase. You just need to give it a gentle push and that’s all. It won’t tumble or move forward, thanks to the 360-degree swivel in the wheels. The handle bar, with four adjustable steps, is like any other and you would have seen it on many other suitcases. These were stiff at first, but loosened up after a few tries. Xiaomi embraces affordability like no other brand. And it’s no different with this suitcase. The smaller 20-inch suitcase is priced at Rs 2,999 whereas the larger 24-inch one is priced at Rs 4,299. Both will go on sale on Amazon, Flipkart, and Mi.com from October 10 at midnight. So, will you be getting one of these suitcases for yourself? Let us know your thoughts in the comments below.